For the next few blogs, we will continue the discussion about energy improvements, using home age to focus in on what might need to be done to your home in order to bring it to today’s energy standards. This week we will discuss a home approximately 30 years old. This home, built in the early 1980’s, can actually be one of the best as far as energy improvements go. Much older, and factors like lead remediation and asbestos removal come into play. Much newer, and the function of the home may need to be improved, but the form may still be acceptable to the homeowners, meaning the improvements may offer less of a “wow” factor when complete. First, before you do anything, think about having an energy efficiency test to see where your biggest challenges are. Most likely, you will find some surprises. Let’s face it, making improvements to your home investment can be expensive, so it’s nice to know your effort will pay off with lower utility bills. Replacing your windows may not do much for your energy bill if an infrared camera shows the air infiltration is from around the window, where it may not have been properly insulated. You could think of an energy improvement assessment as an insurance policy…it means what you hoped to accomplish with your improvements will be what gets done. Not only that, but with an energy audit, there is a system of checks and balances, with more accountability on your contractors part to perform to the standards. Getting back to the 30 year old home, the list of improvements often includes a new roof (if it has not already been installed), windows, and siding replacement. These are big improvements, but when making these changes, being cognizant of the energy impact of your choices can lead to a big payoff in energy savings. As long as you’re up there, you might as well take a look at the insulation in the attic. Chances are it could use some sprucing up. If you have ever noticed ice damming, it is definitely time to climb around the attic to see what is going on. Your home should never have ice dams. They shorten the life of your roof, can cause leaks into your attic, and in severe cases, might damage drywall. They are often a source of mold growth, possibly affecting the health of your family. Luckily, proper insulation along with air sealing can rid your home of ice dams for good. 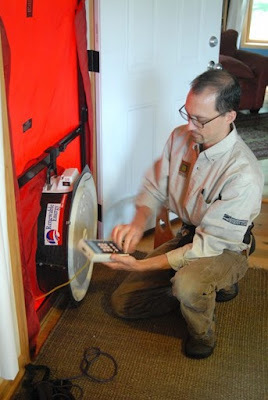 An energy audit will expose each small problem spot in detail so they can be tackled with efficiency. Another place for improvement is adding a 2” layer of foam to the exposed areas of your basement foundation. A significant amount of heat loss takes place here, and a foam surround at the foundation is now considered standard in today’s homes. This is not a difficult, nor is it an incredibly expensive improvement, and your siding installer would probably be more than happy to help you with this. Oh, the windows…so many choices, so many options, so much information (for fun in your spare time, count the number of advertisements for window installers you see in one day). Here is the lowdown with windows…you get what you pay for in quality and installation. Cheap windows will yield meager energy savings. Expensive windows will feel like you have no window at all. But, each homeowner needs to find their balance, and if the top of the line window is not in your budget, you still have options. One thing is essential…quality installation…it will make a huge difference, especially with the less expensive varieties. The challenge is, not everyone knows when the installer is doing all they can to make your home more than aesthetically pleasing. One thing is for certain though, energy efficient improvements need to be intentional. This is where your energy audit comes in handy. Armed with knowledge, you can be an advocate for your home and demand the windows be properly insulated, the siding and housewrap be properly installed, and the attic be properly sealed. Of course, you could call us, and we would be more than happy to coordinate the project from beginning to end. Functional, Beautiful, Efficient….Designed for your Life. For the improvements in energy resources, Foam Roof is also a basic thing to be used. Thanks for sharing your article. Komal, yes sometimes we retrofit foam in homes. Often though there is not enough value in payback of money & comfort, as it also generates waste if we are to remove the fiberglass. So in most circumstances we use foam to seal gaps, then we add additional insulation. We are able to seal air leakage usually 30% to 45% by focusing on these attic leaks. With foam we sometimes exceed 50%. Thanks for the comment. I agree, even old houses with retro energy structured systems can be made more efficient. Some may require a complete overhaul though.